IT out sourcing with back end support of consulting and short term services. Gajdeva Technologies Pvt. 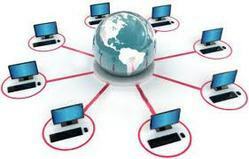 Ltd. can prove to be your most reliable business outsourcing partner for all your IT needs. Get free from all the hassles of Internet marketing and save your precious time and money through our experts who will provide you end to end IT solutions for customized online marketing needs and requirements. Outsourcing to India has eventually developed as a key business strategy in recent times. Usha Informatique, an IT Outsourcing Company in India, helps in maintaining and streamlining your key business areas which leads your organization to grow your business in highly competetive and demanding market. Midas offers a full range of IT outsourcing services from end-to-end development of new software and web applications to re-engineering and enhancement of existing legacy applications. Tangible benefits of software outsourcing in today's challenging business environment have been recognized by many companies worldwide. Offshore outsourcing has changed the way business is conducted today. Its known fact that outsourcing always saves money. The most important thing is to choose a right company to outsource your projects. Considering millions of companies offering the same services and making it difficult to select the right company, we are featuring few services and advantages. “Infoscope is a Software Development Company that provides offshore IT outsourcing services & Solutions. IGM Technologies is an offshore software development outsourcing company that offers a wide array of IT Services..
Our experience team in ready to work on your projects. They are reliable and highly skilled.We assure you of satisfaction and complete professional solution for your needs. You can Hore there with a surity of perfection & dedication towards your job.